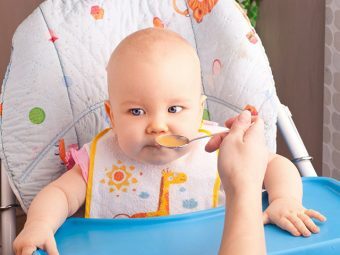 When Can Your Baby Eat Barley? 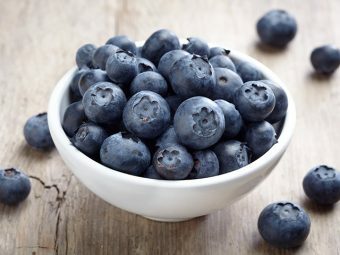 How To Cook Barley Cereal For Babies? When it comes to preparing food for your baby, the smoother the better. If your baby has just started taking solids, barley is a perfect food! 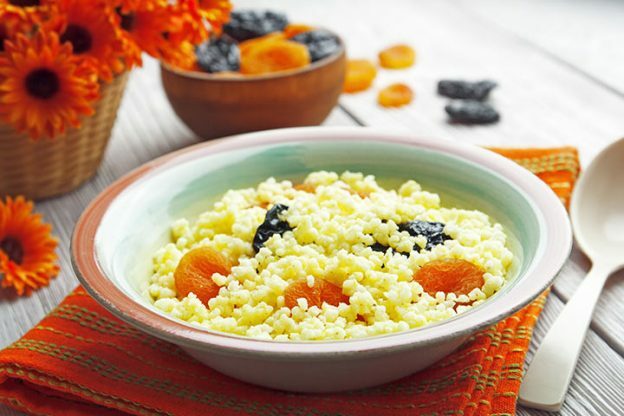 Homemade barley baby cereal is considered extremely nutritious. Many pediatricians suggest giving rice cereals first, however; you can start barley in case your baby cannot tolerate rice. While barley can be made into cereal, you can also add it to stews, soups and into pureed pilaf. You can easily blend barley with soups to get the desired consistency and let your baby enjoy the wholesome goodness. Since barley is known to contain gluten, a protein that gives its chewy texture (as also found in wheat and rye), many experts recommend introducing it to babies after 6 months. Gluten, if introduced earlier than 6 months can increase the risk of a child developing Celiac – a serious condition where the body’s immune system attacks its tissues. Also, barley should never be introduced to your baby as the ‘first food’. If she is allergic to wheat, you have another reason to avoid introducing barley as there may be a direct relation between rare barley allergy and wheat allergy. Barley is rich in dietary fiber that makes it an ideal food for your little ones. It regulates free bowel movements and, therefore, keeps your baby healthier and stronger. Barley contains high quantities of phosphorous and calcium. Phosphorus also plays a prominent role in strengthening the bones apart from calcium. For your baby’s strong bones, you need to include barley in their diet. Barley is effective in protecting and strengthening the liver. Studies also reveal that including this cereal in diet shows a notable effect in protecting the liver against damage. Barley seeds are effective against any fungal attacks on the body. They contain some biochemicals like proanthocyanidins, biflavones, chrysoerials that are known to have anti-fungal properties. Barley is simple to make and doesn’t take much time. You can quickly choose to make it even during the stressful time-frame. The easiest way of cooking barley is to boil one cup of barley seeds in 3 cups of water. Bring the water to boil, add barley seeds and again boil them to a simmer. If you choose pearl barley, it requires less water and takes around 40 min to cook. For pot (polished) barley, it may take one hour and hulled barley takes nearly 1 1/2 hour. You should soak barley first. Soaking for a long time makes the nutrients easily absorbable and also increases their digestibility. Take barley in a bowl, wash it properly and add water enough as to cover the seeds. Leave it overnight, strain the following morning and keep the water as it is nutrient rich, it can be used in soups, dals, and even for kneading dough. You can also store them in the refrigerator for about 2 days and cook whenever you like. 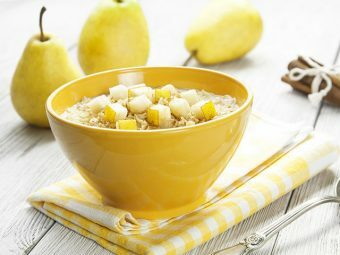 You require whole barley, apples and water to prepare barley apple porridge. 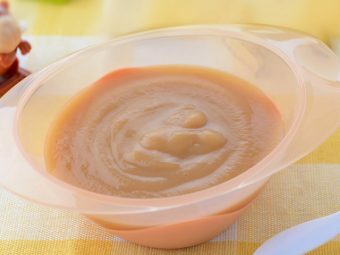 It can be the best solid foods to introduce to your baby. First cook barley by adding one cup barley and 3 cups water in a pressure cooker. Cook for 5 whistles and then simmer for about 15 – 20 minutes. Let the steam go all by itself and check if the barley is properly cooked. Add the chopped apples, 1/2 cup of water and now cook for about 2 minutes. Puree the mixture in a blender until it turns smooth. Take the porridge into a bowl and feed your little one. Barley has a yummy and nutty flavor that is incredibly versatile and can be taken in different ways. You require soft pearled barley (1 cup), applesauce, sweet potato and a pinch of nutmeg, cinnamon and ginger. You need to mix all the ingredients in a bowl. Make small balls or create plops to make finger foods. You can offer barley salads to your baby when she turns 6 months. For this, you require soft cooked barley, soft chicken or beef, peas and carrots. Take all the ingredients in a bowl and toss. You can serve it as a finger food with snack or meal. You can start giving barley water while weaning your baby at around 10 to 12 months. You can also flavor it with jaggery, but only after the approval from a pediatrician. Add 1 cup of barley and 1 1/2 cups of water in a pressure cooker. Cook for about 3 whistles. Now strain the mixture and serve lukewarm. Mothers generally prefer home cooked barley cereal. In case you are purchasing barley from stores, make sure they are pearled or hulled, as whole barley can be removed easily from hull. See to it the grain is powered well in a food processor or blender. Never buy whole barley for your baby as the germ layer is hard to digest. You can store pearled barley for several months in a cool and dry place. Store them in airtight containers and preferably place them in a refrigerator. Look for the ‘best if used by …date’ on the pack. If you aren’t using your barley frequently, it’s good to check if it is still fresh and worth consuming. Pearled barley cooks up fast, which is one of the biggest advantages associated with it. In case you are grinding your barley, the natural oils will get rancid if you do not refrigerate. If you are buying whole grains, it is best to try smaller quantities in the beginning. Make sure you are not offering barley for baby as the first food, if you have a family history of Celiac disease. Be very careful and consult with your doctor when planning to give barley for babies. Moms, share with us how you introduced barley to your baby in the comment section below. 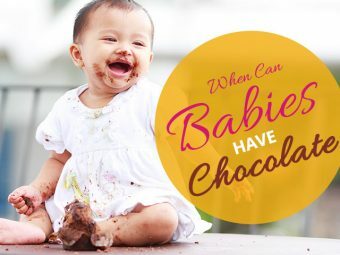 When Can Babies Have Chocolate And Does It Cause Any Problems?